With a design that was inspired by a multi-faceted diamond, and striking lines and curvatures that emphasises every movement, the Toyota C-HR (Coupe High Rider) is a high-rise SUV that is truly in a class of its own. It is a modern and sophisticated vehicle, with style being its focal point. I took a test drive in this impressive vehicle accompanied by Toyota Kempton Park sales executive, Sonja Cornelius. The C-HR’s interior consists of fabric seats, stylish yet simple trimmings in quality plastic, with smatterings of chrome creating the overall look. While I was driving Sonja mentioned that the Toyota C-HR is equipped with a range of brake control systems and maximum safety technology to help prevent accidents or injury. 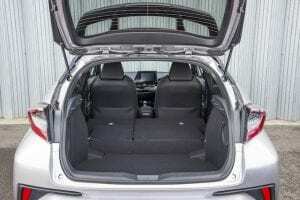 This vehicle also has driver and front passenger airbags, and comes standard with advanced security features, including a wireless door lock remote and an automatic light control system, as well as a “follow me home” feature and an immobiliser. The C-HR’s powerful 1.2 litre 4-cyclinder turbo engine makes it smooth and extremely comfortable to drive, along with a 6-speed manual transmission that ensures drive power and performance. This SUV is seriously #streetcred worthy, delivering 85kW maximum power and 142Nm maximum torque, with an average fuel consumption of 6.3 litres/100km. The Toyota C-HR has 17-inch alloy wheels that give the vehicle a sporty and youthful, futuristic appearance. Its rear door handles are integrated into the C-pillar and with its angular headlights and boomerang taillights this SUV is bound to turn heads. The C-HR is available in a range of striking colours from Glacier White to Cinnabar Red, and has an infotainment system, which includes a 6.1-inch touchscreen audio display. 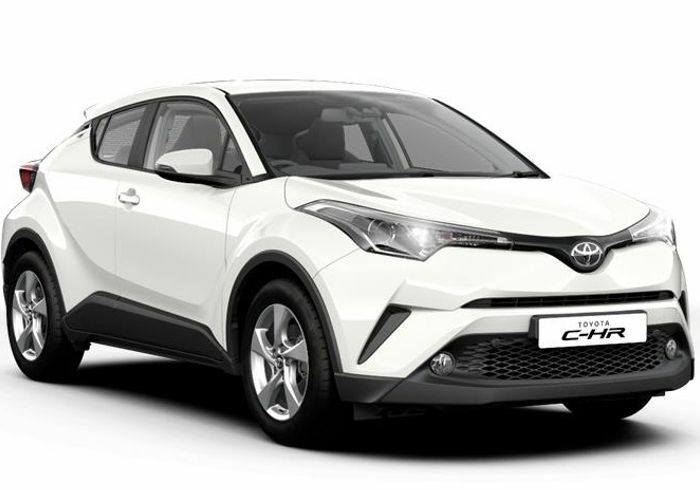 Contact Toyota Kempton Park to find out more about the C-HR, or to book a test drive.